erent ways. This 2nd blog post in the series will discuss blood donation. According to the American Red Cross, someone in the US needs blood every 2 seconds. That’s right, 2 seconds. In the time you spent reading this, someone in this country might be lying in a hospital bed in desperate need of blood, and you could be the person to save that someone’s life. Giving blood hurts. While the initial needle prick is painful for many, that is where the pain stops. The actual process of blood being taken is not at all painful, and while you may experience soreness in the area of your arm where the needle was, that also disappears after a few days. I don’t have enough blood in my body to give some away. There is most assuredly enough blood in the body to donate. Only 1 pint of blood will be taken during the process, and our bodies produce more blood to replenish what was taken. I’m too young/old to donate blood. As long as you are at least 16 years old, you may donate blood. Additionally, no one is “too old” to donate blood. You only need to be healthy. I could contract a disease if I donate blood. The process of donating blood is incredibly sterile, and new needles are used for each and every donor, which eliminates the risk of diseases or infections being passed on to you. I can’t donate because I’m taking medication. This can be a little bit trickier, but ultimately it all depends on the kind of medication you’re taking. While in some cases donors may be asked to wait for a period of time before donating, taking medication will not outright prohibit you from donating. Simply inform the nurse or doctor of the medication you are on before proceeding with the donation process. If you are interested in donating blood, but you have additional questions or concerns, please check out the following pages from American Red Cross (A | B | C) for more information. Additionally, on November 8th in the LSC Ballroom, Student Legal and Mediation Services will be hosting a blood drive and tabling event from 9:00am-3:00pm. The event will include registration tables for those that want to register and learn more about bone marrow and organ donation, as well as other tables from a variety of on and off campus organizations. 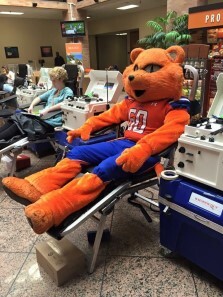 For more information concerning the blood drive, volunteering, or the other resources our office offers, please visit our website at shsu.edu/slms, give us a call at 936-294-1717, or visit our office in the Lowman Student Center, Room 330. 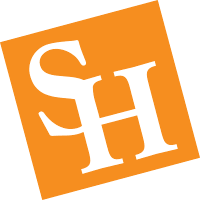 If you have any questions concerning the resources our office offers, please contact our office by phone at (936) 294-1717, website at shsu.edu/slms, email at slms@shsu.edu, or visit us in the Lowman Student Center, Room 330.